When Tim Raue went up on stage in Cologne to present a new concept, we knew he was onto something. 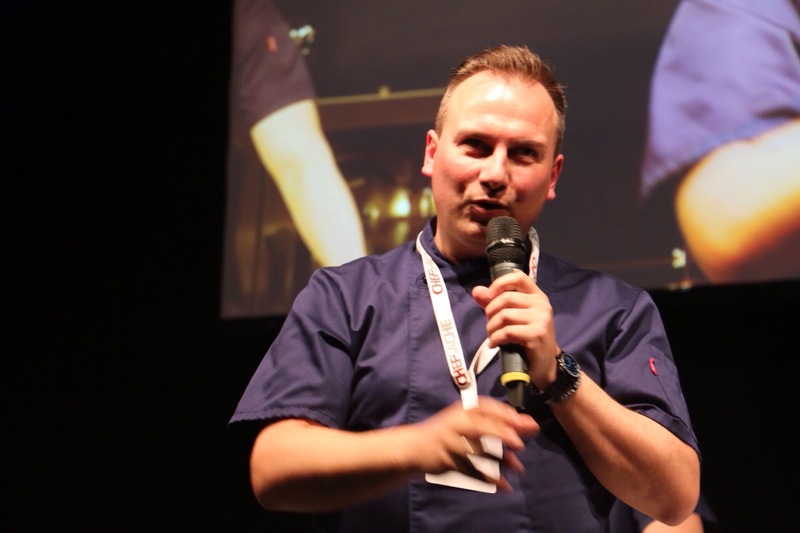 Despite admitting that the technology is still in its early stages, Raue is experimenting with offering diners at his restaurant a unique experience by immersing them into his kitchen and explaining what they are about to eat in a personalised audiovisual manner. He is using virtual reality goggles to take diners at his restaurant on a ‘tour of Berlin’ and see the chef explain the story behind the dish he is serving as well as how it is prepared. Raue said at Chef Sache that many of the guests at the restaurant might not have time to visit Berlin. “We could have told the story in a different way but we felt that it would be more appropriate to use visuals to tell the story,” Raue said. Two Michelin star chef Tim Raue can be considered as one of the most prominent German chefs in Berlin if not the whole of Germany. Apart from his flagship restaurant Tim Raue, the German chef has a number of other restaurants in Germany and is set to open two in Dubai shortly. Raue said that he will be testing the idea with his six course menu. “We will need to produce more films but not all dishes will be accompanied by a video because it would take too long. This is not an idea that will work in all restaurants but we want to test it more and more in future,” he said. The German chef said there was also a restaurant like this in Ibiza for those willing to fork out over a 1000 euros for a ‘technical experience’. The aim behind the concept in Berlin is not to create something similar but rather to experiment with technology to give the diner a more unique experience. For the restaurants in Dubai, the German chef has other plans but for that we will wait for his upcoming announcements. We are sure this is a start of a new experience in restaurants and one we will be experiencing more often in future.